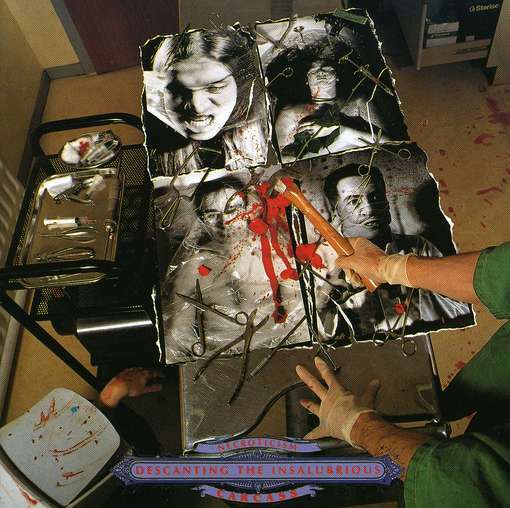 As the main inspiring band of the style goregrind, Carcass debuted as one of the first grindcore bands, and very soon they sparked the attention of extreme music fans. Their exaggerated music showed a new way in musical sickness. After two completely compromise-less goregrind albums with "Necroticism" they arrived on the top of their musical creativity. The arrival of Mike Amott (Carnage) sat on a few changes. On the side of the grinding parts, their music turned more melodic by involving heavy metal themes. A weird balance was created between these twoo points, and the catchy melodies lightened on their massive raw sounding, but the same way turned the main feeling endlessly sick. "Necroticism" is still not a relaxing meditative album compared to the previous ones, but shows the importance of contrast, that may be more effective than rough grinding. 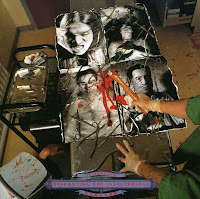 Their lyrics' main feature was always that for complete understanding a medical dictionary, or some pathological working practice would be very useful, and that concept made Carcass an icon. "Necroticism" is an everlasting classic of extreme music.